Does anyone remember the County Record Office looking like this? 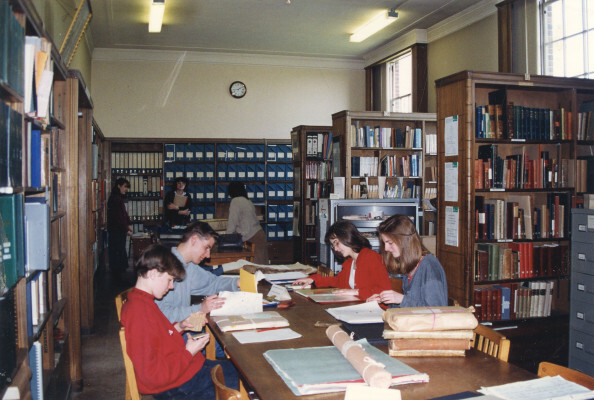 This is the old archive reading room on the first floor of the library block at County Hall taken about 1990. However the room had a lovely feel about it and I am still in touch with staff who worked with me years ago. Hertfordshire Archives is still a very friendly place and everyone is welcome. This page was added on 26/05/2009.